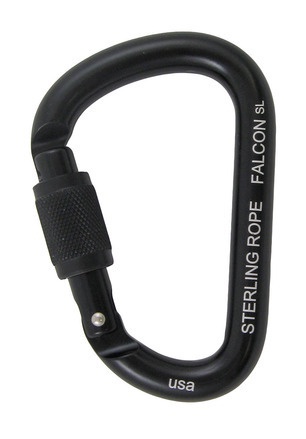 The Falcon SL is a screwgate, compact pear-shaped carabiner. Crafted from high strength 7075-T6 aluminum, the Falcon is strong and lightweight. The compact pear shape is great for belaying or to use with a munter hitch.